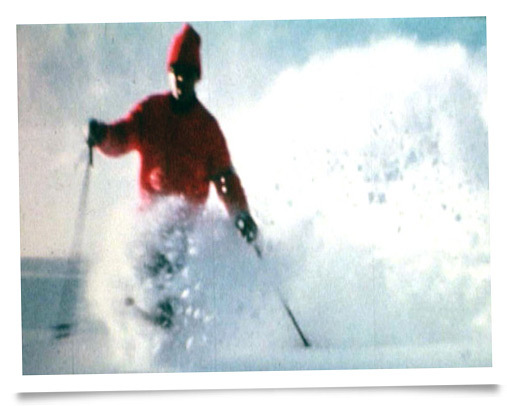 Karl Koller: Skiing is its own world. The most important thing is freedom. Freedom is above everything. Not being trapped, being free in nature on two boards that mean the world. 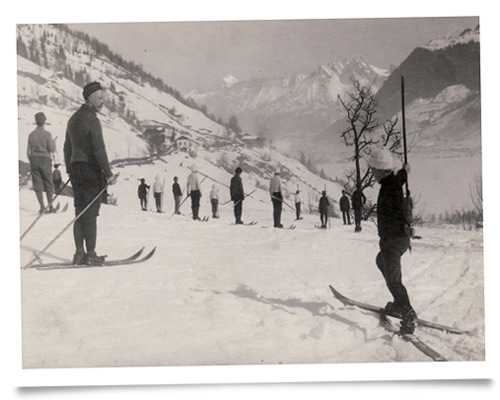 Eberhard Kneisl: The first skiing was with staves. The staves out of wine barrels, they were like this. And so we tacked leather over them, then with loden shoes and an alpine staff, we mounted our skis and glided down the steeper paths. It was novel. Well it was very primitive. 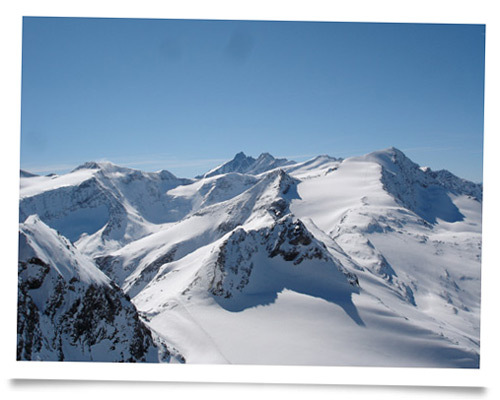 When I had my third winter at school I won the Austrian Youth Skiing Competition in the 10 to 14 years category. Next time it was in Windischgarten and I won again. And that’s how it progressed. Better skis, better bindings, better stuff. And that’s when skiing took off as a sport. Then it got bigger, more comfortable. That’s when skiing took shape. Richard Rossmann Jr: So you were together with Eberhard Kneisl in the Austrian Olympic Team. Why weren’t you allowed to compete? Richard Rossmann Sr: We were already up at Garmisch for the training. At the Kreuzeck where the race took place. I already did the stretch 2 or 3 times to train. And two days later, the word came: “We were to go home, we wouldn’t be competing”. And all because the Germans saw that they wouldn’t have a chance. They had a few good skiers. Like Pfnuer from Berchtesgarden. He was the only real contender. But, against our team, the Austrians, like Josl Gstrein or Eberhard Kneisl, nobody would have had a chance, we would have cleaned up. The FIS, this committee was composed of lots of neutral states… So the Germans proposed, the Nazis proposed, that the Austrians weren’t to compete. But the real reason was that the Germans would never have won the Olympics. Because during the week as ski instructors we were getting 6 shillings, we were seen as professionals. So then Pfnuer won. But they invited Toni Seelos to be a forerunner. And according to our people, he was six seconds faster than Pfnuer, the winner. Richard Rossmann Jr: So did that cause a stir? Richard Rossmann Sr: Well, yes, in skiing circles, it was passed around. But, outside of that it was kept a secret. It didn’t make it to the press. “Germany won the Olympics in Alpine Skiing”, that was the line. 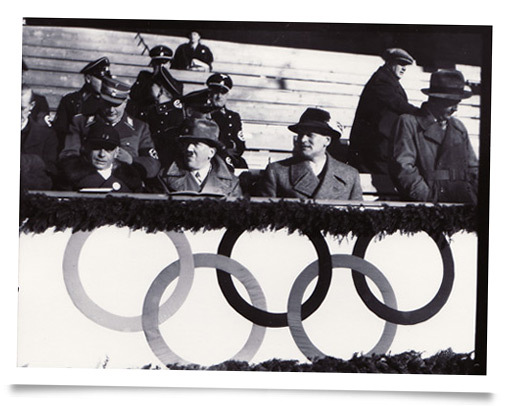 Richard Rossmann Jr: Did the Austrians protest to the Olympic committee? Richard Rossmann Sr: There was no protest against the Nazis. They just kicked us out of everything. 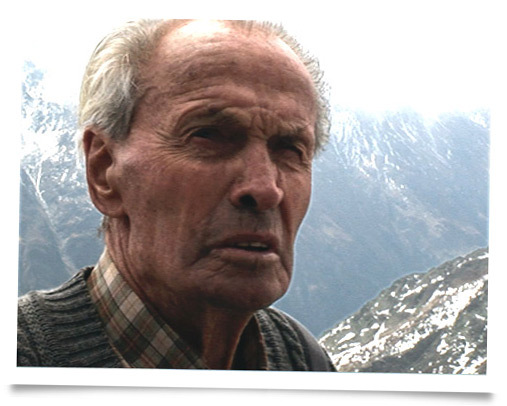 Guzzi Lantschner: Because I was a good skier and because I was known for that. That’s how I got into this world, how they took me in. Riefenstahl was very open. We clicked very early on. And Riefenstahl supported me, when I went into the movie business later on in Berlin. It was pretty exciting for me because I knew so little and because I got a break in the movie industry. It wasn’t such a big industry back then, but still, already, there was a little industry. I learned a lot of practical stuff from Riefenstahl. When we did those films about the 1936 Summer Olympics. The 1936 Olympics were a lot of work. Riefenstahl got a lot of opportunities through contact with the government and the top officials. And we did what we had to do. The existing techniques weren’t sufficient for our requirements. So we invented a lot of new techniques. Techniques that were never used before. I had a lot of trust in Riefenstahl and vice versa, she loved to collaborate with me. Eberhard Kneisl: I just preferred to stay home. I couldn’t get into the whole thing. Some were for the Nazis and some were against. Richard Rossmann Jr: And what did you think about the Nazis? 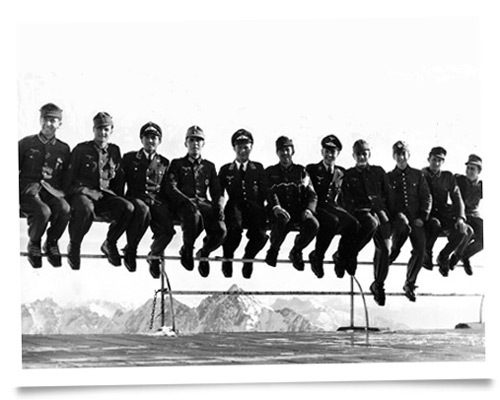 Karl Koller: The Ski Corps. That was right at the beginning, as I was mobilized. By this I mean 1940. I was called to Mittenwald. I hadn’t known, but they were assembling a ski corps there. They got together all the great skiers there, and put them in the corps. We trained at skiing, slalom, everything. And then we had to put on the uniforms. We were deployed and these pictures were made. And the whole event was, of course, to support Goebbels’ propaganda. And every weekend we took part in a race. Not international races, but local ones, like in Seefeld, in Bad Wiessee and in the smaller towns. Of course we enjoyed this. Duty was fairly loose. And we thought, if this carries on, military life ain’t so bad. It all went well up to the point when there was that terrible winter in Russia. Where they had such great losses. And that’s when we were deployed at the front, one after the other. Why I was the first one sent to the front, I don’t know. 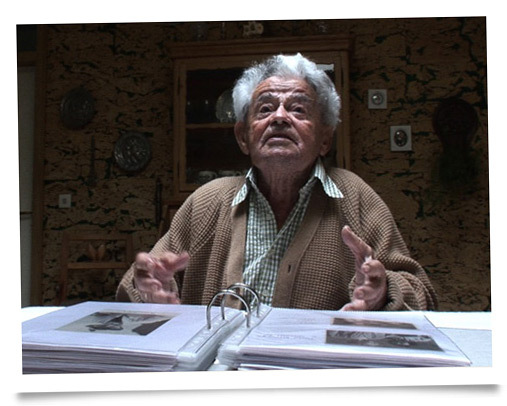 Richard Rossmann Jr: What did you know in the mountains about the concentration camps? Was it discussed among your comrades? Richard Rossmann Sr: Soellner told me. He was a field corpsman in Russia for a time. A paramedic staff sargeant. And he was requisitioned to a firing squad of the SS. Jews were driven there in cargo trucks. They were forced to kneel in front of gravel pits, one next to the other. And the SS squad walked along with handguns. The Langloeffel 22, that’s what they had. A real mean weapon. Then the Jews were shot in the back of the neck, so that they would fall forward, into the pit. If they weren’t hit dead center with the small bullet, so that the spine would rupture, the bullet would come out the other side. The people were down there, writhing and screaming. And he had to watch that. It was strange that they stationed him there as a paramedic, even though he wasn’t part of the SS. He was there in case anything happened to the firing squad. Then he would have had to intervene. He said it was horrible. That was the first time that I had heard anything like that. That they were exterminating the Jews in Russia like that. The destroyed entire villages. Women, children, everything. I mean, they were real scum. Richard Rossmann Jr: What did you feel when you heard that story? 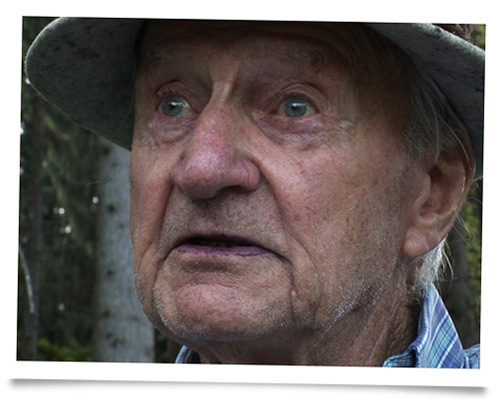 Richard Rossmann Sr: Well I had to forget about it, there was nothing else for it. I couldn’t change it. We could only change it when the Americans marched in and the others had to retreat. 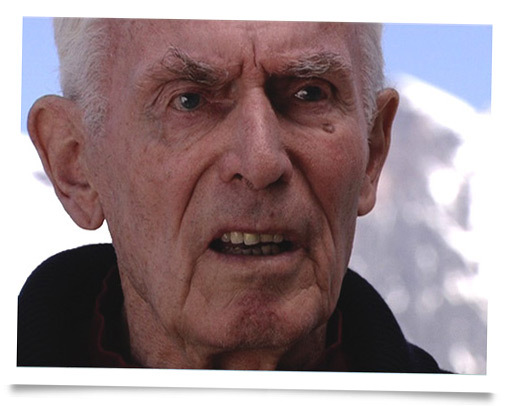 Karl Koller: So I have to say, after the war, skiing really changed for the better. Skiing became a popular sport. Not only for the rich but for everyone. Eberhard Kneisl: The best thing was that a lot of people came and they brought a lot of money into the valleys. And people lived from that. These buildings wouldn’t be here if that money hadn’t come. Dutch, Swiss, Italians and French came. It was international, particularly in the ski schools. Karl Koller: “The Military Oath!